In the race to discover a proposed ninth planet in our Solar System, Carnegie's Scott Sheppard and Chadwick Trujillo of Northern Arizona University have observed several never-before-seen objects at extreme distances from the Sun in our Solar System. Sheppard and Trujillo have now submitted their latest discoveries to the International Astronomical Union's Minor Planet Center for official designations. A paper about the discoveries has also been accepted to The Astronomical Journal. The more objects that are found at extreme distances, the better the chance of constraining the location of the ninth planet that Sheppard and Trujillo first predicted to exist far beyond Pluto (itself no longer classified as a planet) in 2014. 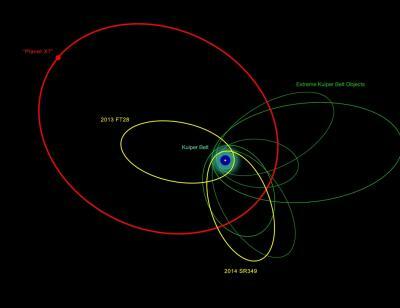 The placement and orbits of small, so-called extreme trans-Neptunian objects, can help narrow down the size and distance from the Sun of the predicted ninth planet, because that planet's gravity influences the movements of the smaller objects that are far beyond Neptune. The objects are called trans-Neptunian because their orbits around the Sun are greater than Neptune's. 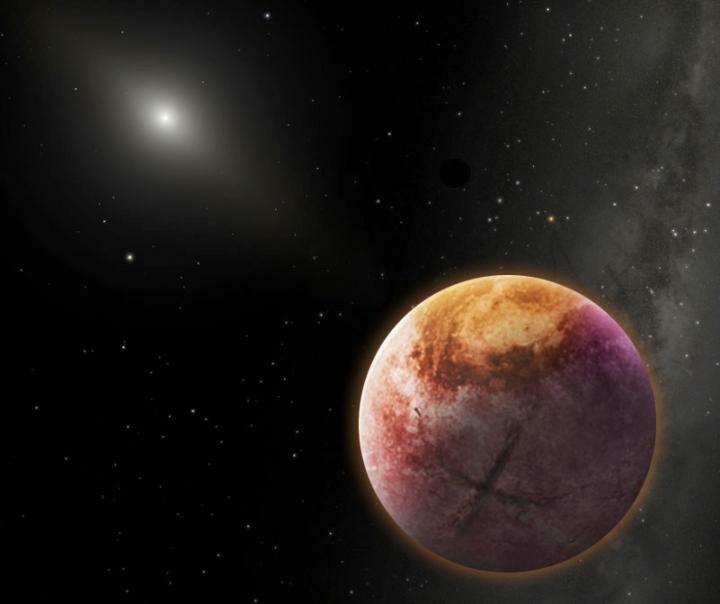 In 2014, Sheppard and Trujillo announced the discovery of 2012 VP113 (nicknamed "Biden"), which has the most-distant known orbit in our Solar System. At this time, Sheppard and Trujillo also noticed that the handful of known extreme trans-Neptunian objects all cluster with similar orbital angles. This lead them to predict that there is a planet at more than 200 times our distance from the Sun. Its mass, ranging in possibility from several Earths to a Neptune equivalent, is shepherding these smaller objects into similar types of orbits. "Objects found far beyond Neptune hold the key to unlocking our Solar System's origins and evolution," Sheppard explained. "Though we believe there are thousands of these small objects, we haven't found very many of them yet, because they are so far away. The smaller objects can lead us to the much bigger planet we think exists out there. The more we discover, the better we will be able to understand what is going on in the outer Solar System." "Right now we are dealing with very low-number statistics, so we don't really understand what is happening in the outer Solar System," Sheppard said. "Greater numbers of extreme trans-Neptunian objects must be found to fully determine the structure of our outer Solar System." According to Sheppard, "we are now in a similar situation as in the mid-19th century when Alexis Bouvard noticed Uranus' orbital motion was peculiar, which eventually led to the discovery of Neptune."